Your search for the perfect online strategy is over. Don’t waste another minute looking for solutions to lackluster customer response and failed sales campaigns. 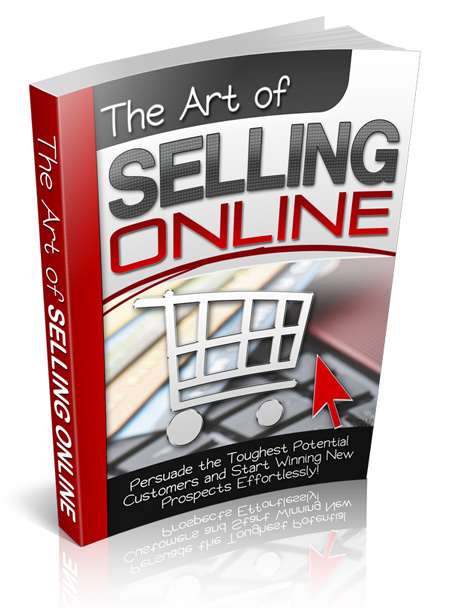 It really comes down to the basic principles that apply to selling in any context. Many people tend to think that Internet selling has to be easy. If you’re in that group, it’s really not your fault. There are hundreds, really thousands of Internet marketers who are selling you fancy-looking packages with lots of bells and whistles, telling you that all you need to do is buy their offer, and money will start flowing into your PayPal account faster than you can count it. Yes, that sounds really good, and perhaps deep down you wonder whether it’s really that easy. I’m here to tell you that, while the Internet has made passive, recurring income much easier to obtain, your suspicions really are true. Learn how the selling process really works, no matter what your product is. Find out how to establish yourself as an authority in your niche, so you become the go-to person as you watch your client list and your sales increase exponentially. Discover the No. 1 mistake made by 99% of all e-mail marketers online and how you can grow your business for the long term doing it the right way. Begin to use relationship selling to market big-ticket items online, so you can sell higher-priced products to customers over a lifetime. Grow your business, retain customers, get free referrals, and see your reputation solidly established online so the money keeps rolling in no matter what you do. Stop wasting your time on pie-in-the-sky, hard-to-believe claims about easy money with no effort. Learn to build your business the right way so you can get the results you’re looking for and keep customers coming back for more. Get started on the right road to long-term profits online when you get a copy of “The Art Of Selling Online” today!